Seven 20th Century superstar sculptures find themselves displaced and out of their usual context, on a stage. 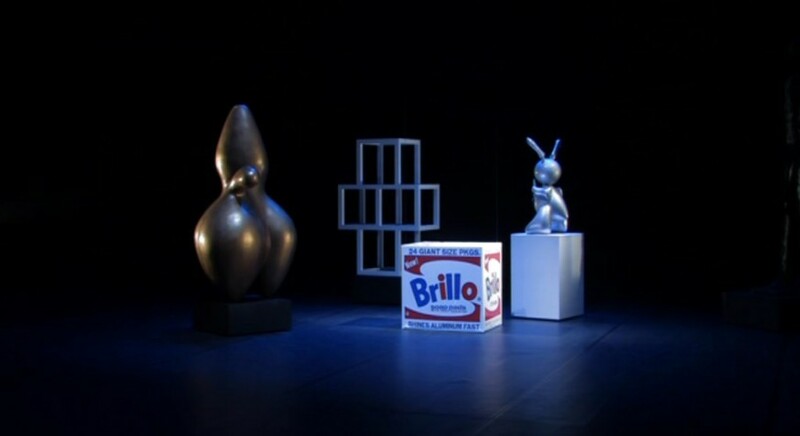 The performance involves motorised and remote control replicas of sculptures by Giacometti, Helpworth, Arp, Koons, Ruckeriem, LeWitt and Warhol. The work unfolds through a series of clashes and crossovers between the various isms and aesthetics which the sculptures represent — from formal and minimal to pop and postmodern. Read more about the piece in Time Out and The Guardian. London performance at The Old Vic, 12 October 2008.